Au naturel style! 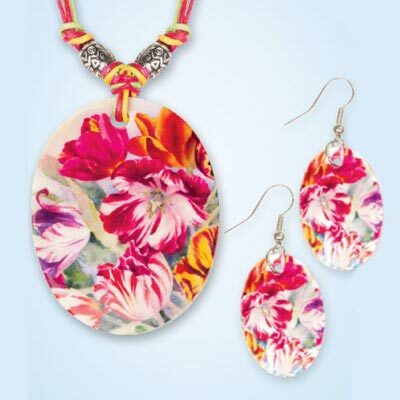 This Floral Garden Shell Jewellery Set features authentic shells covered in brilliant floral design, two silver-tone beads and four cord style chain create this matching set. Necklace, 16"l with 2½"l pendant; Earrings, French wires, 2"l.